I finally have the beautiful palette in my possession and can I just say that it is worth every penny. The possibilities are endless with this baby. I have swatched the shadows before (you can see them HERE) and I mentioned my first impressions in that post. Nothing much has changed. Whether by primitive pigments or modern kaleidoscopic color, the mysterious ritual of applying eye makeup has been in historical existence for over 6,000 years. Equally as eternal has been the art form of using color to translate emotion or affect ambiance. 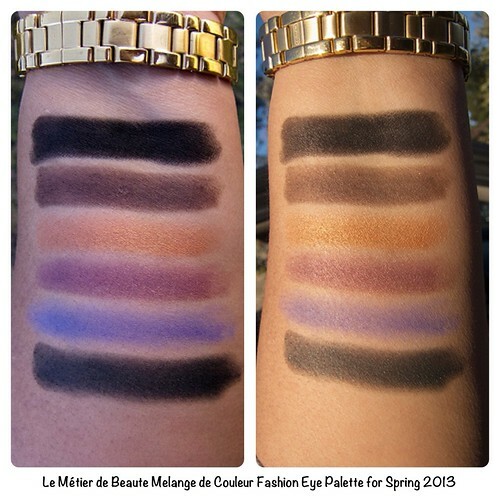 By this vein of reasoning, the Le Metier de Beaute Spring Eye Shadow Collection, The Melange de Colour, provides only a formidable catalyst, while your imagination decidedly remains the instrument. 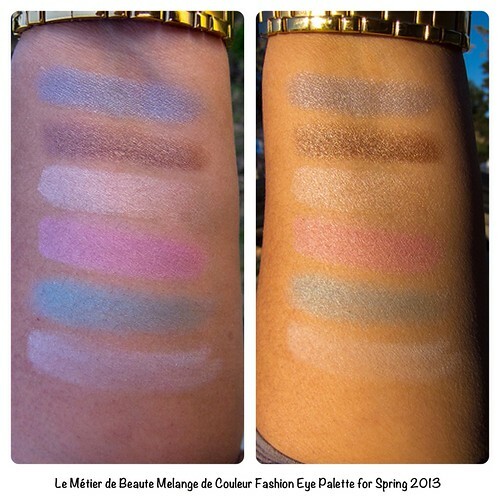 The Palette is an inspirational homage to my experience at Spring Fashion Week 2013. I selected the colors to impart the vision of the season, as well as working in some of our favorite hues that I cannot endure without! Over the last several fashion seasons, there have been certain shades that have made indelible impressions during their limited edition introductions. 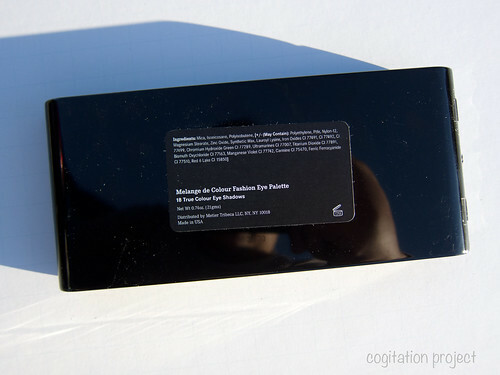 In response, this year’s Spring Collection will briefly welcome back some of those beloved colors in a sleek, elongated compact where every single shade is beautiful and intoxicating. The pigments can be blended, smoked, and layered to breathtaking complexity, or worn simply, to show off their flat-out good looks. No need to use as directed, the only side-effects will be allure and excitement! 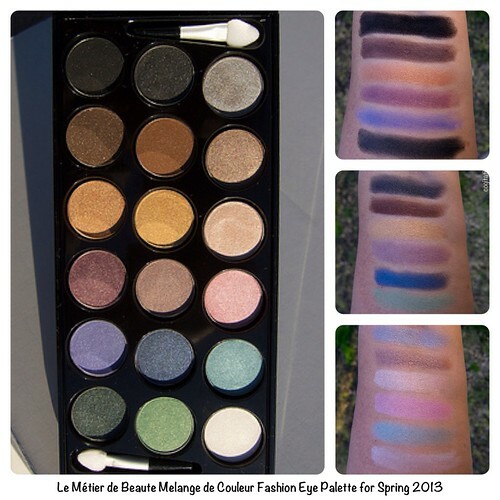 Fresh off the runway, the Melange de Colour Fashion Eye Palette is an edited collection of the most coveted Le Metier de Beaute True Colour Eye Shadows. 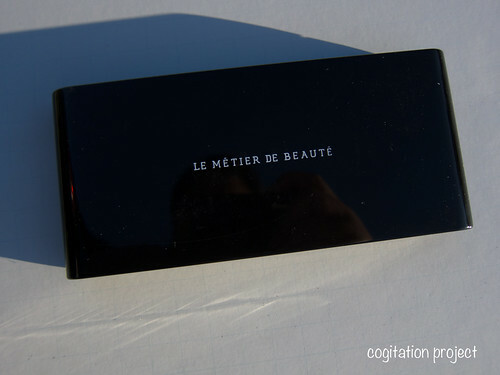 Curated by Le Metier de Beaute ARtists as the ultimate Fashion Week accessory, this kit is perfectly packaged in a professional palette format. Eighteen colors inspired by exclusive designer collections burst with sophistication, layer beautifully, and are only available in this limited edition set. Product. 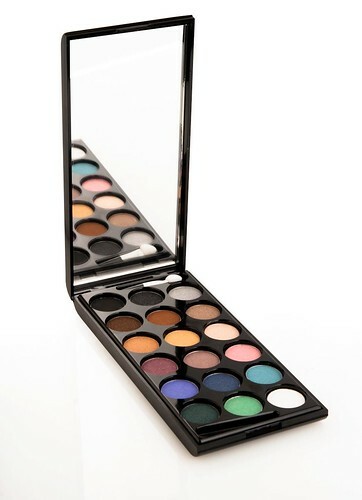 There are 18 eyeshadows weighing a total of 0.74oz/21gms which means each shadow is approximately 0.041oz/1.16gms. You have an assortment of colors ranging from dark to light, warm to cool. 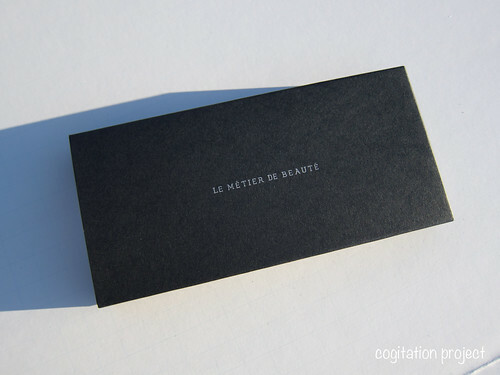 The texture is the usual best from Le Metier de Beaute. The triple milled powder ensures application, layering and blending is a breeze. 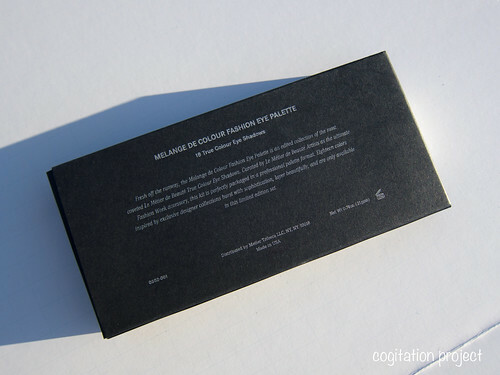 Pigmentation does not disappoint either. Price and Availability. It is $95 and is available at Neiman Marcus. It is limited edition so when it’s gone, it’s gone. You can try calling Scott at NM in Beverly Hills at 310.550.5900 ext 2087, Dita Bautista at Neiman Marcus Walnut Creek 925.279.3000 ext 6023, Renee Fisher at Neiman Marcus Northbrook at 847.564.0300 ext 2174 or Kathy Shoreman at Neiman Marcus Tysons Galleria at 703.761.1600 ext 3282. Please let them know Emilie sent you and I’m sure they will take care of you. Final Thoughts. That was exhausting! But worth all the effort. 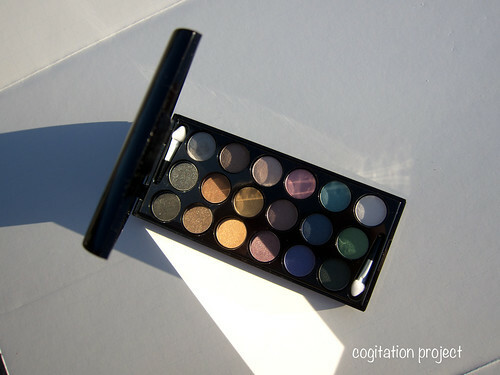 If it’s within your budget, at least visit a counter to check out the palette. And for my fellow LMdB lovers, I’m sure you have pre-ordered it already. 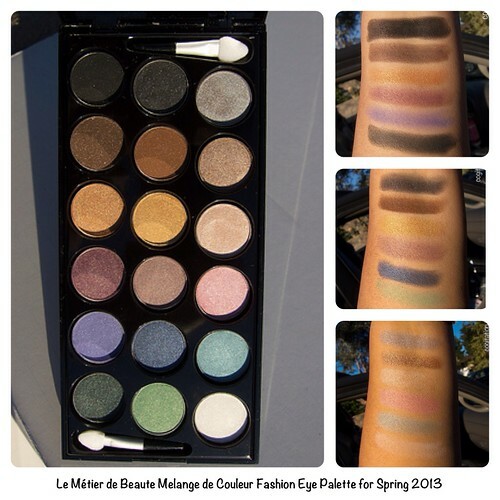 And if you have any thoughts on the palette I hope you share your thoughts on the comments section. I was lucky enough to pick one up at Neiman Marcus the other day. I was curious if you’re having any pigmentation issues with the Lilac color at all. Mine is really hard and dry, and though I can see pigment on my brush/sponge (tried both), hardly any color transfers onto my lid, and when it does, it’s patchy. This is my first jump into the brand, and I have heard only good things about their eyeshadows, so it’s a bit of a disappointment to find that some of the shades are under performing!! Do you think it’s just my particular palette? Hi Christine! I posted a photo on my Instagram. The only difficulty I have with it is swatching it using my fingertips. I used a flat shader brush and it picked up a good amount of product. I even applied it in my lid on its own and I didn’t have applying it or blending out the edges. My eyelids are pigmented and oily so it will not show true to pan color. But I think the pic on my IG is close. I’m sorry it’s not love at first use for you. Ahh too ridiculously pretty! I don’t know if Zuneta will eventually stock this but I hope they will! Glad to see how each and very shade is pigmented and smooth! Beautifuuul. ❤ Any chance for a side-by-side size comparison with the singles and the kaleidoscope? 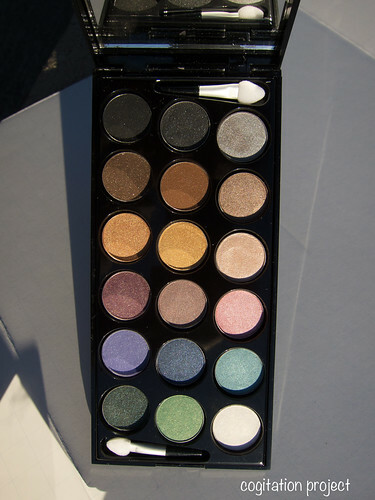 I know that the singles are not exactly duped in this palette. 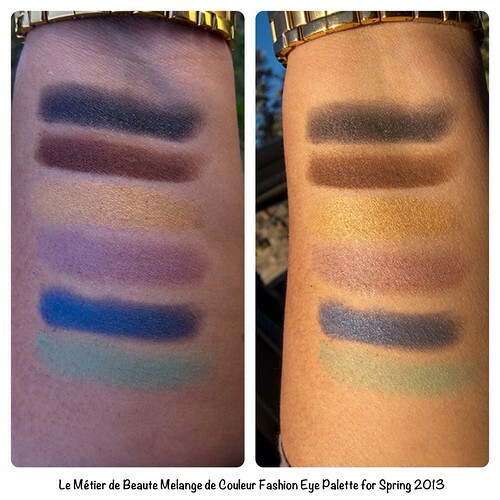 More like shades from different palettes are selected, the old faves like the dark brown from Silk Road, the green from Penelope, black from Nouvelle Vague. I will try to decipher which one is which, provided I have the time. Ah, I was mostly curious as to how the size is different! I know searching for dupes is so time-consuming, so please don’t feel obliged! Online it appears to be sold out but I know there are counters out there that still has it in stock.